← TNT’s Handpicked Best of the Drop and Auction List for 3/24/2018! Today: Domain Age matters / Planning to start a new domain registrar? Read this! / Search engines of every country / And more! I’m buying all kinds of domain names – You better hurry up and grab your domain portfolio! This investor is looking to buy a lot of domain names in assorted niche categories. Get your domains over to them as soon as you can for consideration. MainstreetGuns dot com Please appraise – There sure are a lot of domains these days focusing on some of the news outlets cover stories. Does trending news bring value to these domains or will they be worthless in the near future? Bitok.co – Really? Bitok.co? 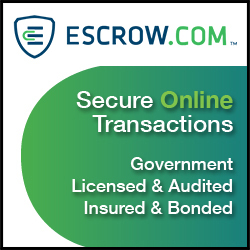 Could there possibly be some value on the table for a domain asset like this one in the flooded cryptocurrency markets? Planning to start a new domain registrar? Read this! – If you were thinking about ever starting your own domain registrar service, you’ll want to follow this discussion for sure. Domain Age matters – The topic of domain age has been ongoing for many years and lots of investors still don’t agree that the age of a domain helps its value. How much value do you put on the age of a domain asset in your portfolio? Search engines of every country – Did you know that Google isn’t the primarily used search engine in every country? Some countries prefer to use alternate search engines. Can you guess what they are? The Grey Areas Of Outbound Domain Sales – If you owned a short version of a domain a company has already established a brand on, you should keep the grey areas in mind when approaching them to avoid any complications.